Sabres winger Kyle Okposo recently returned to the ice from an injury, but after playing in just two games, he’s since missed the team’s last four games. 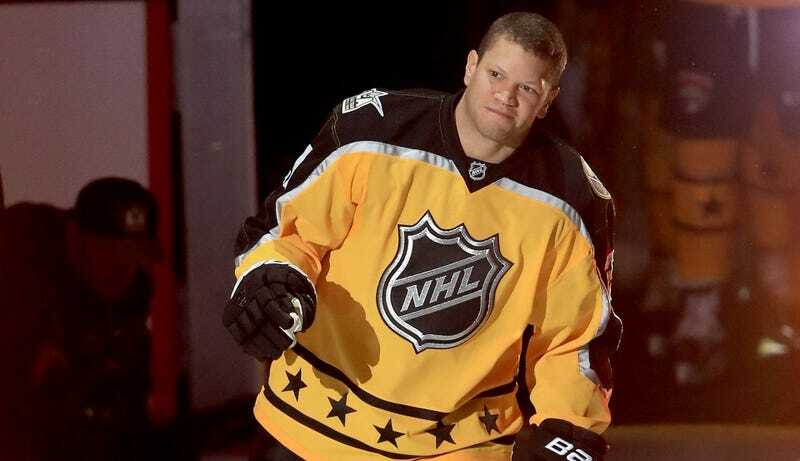 This afternoon, Buffalo-area radio station WGR-550 reported that Okposo was in the neurosurgical intensive care unit of a Buffalo hospital with an as-yet undiagnosed illness. The Buffalo News later confirmed the report, and coach Dan Bylsma said that doctors were running tests to see what was going on with Okposo. Okposo has been sick since March 28. The 28-year-old has visited doctors, but Bylsma had no diagnosis to announce Wednesday. “It’s a difficult thing for him to be dealing with now in this situation,” Bylsma said in KeyBank Center. “Very, as a coach and a person, concerned for him and his situation. Bylsma later added that he was “very concerned.” There’s no specific word on what could be wrong with Okposo, but landing in the neurosurgical ICU is certainly alarming, especially considering he has yet to be diagnosed. We’ll update this post if more information immediately becomes available.